There are lots of exciting things going on with cars and technology. Tesla, Google, and BMW are all working on driverless cars. Most cars come equipped with collision avoidance systems, and those systems only get better each year. Being able to stream media through your car is becoming the new norm. Car tech is improving (and becoming more affordable) at a much faster rate than experts anticipated. In fact, many estimate that by 2020, nearly 75% of new shipped cars will fall into the “connected car” category. It’s an exciting time to be shopping for a car. Learn more about the top 6 car tech trends to watch as you shop for a new vehicle. Over the past couple of years, we’ve witnessed more car manufacturers putting out purely electric models. Maybe you’ve noticed more charging stations around to meet the demand for charging points as more consumers purchase EVs. Electric car tech is improving significantly. So much so that experts believe in 8 years, EVs will be as cheap as gasoline-powered vehicles. Tesla was the company that spurned more vehicle companies to produce electric vehicles. Those who could afford Tesla’s first models eagerly snapped them up. This signaled to the market that consumers wanted good-looking EVs. More auto manufacturers have thrown their hats into the ring including Chevrolet, Nissan, Kia, Ford, and Volkswagen. And some companies like Volvo have announced they won’t produce gas-powered cars after 2019. On a global scale, there’s more incentive for manufacturers to produce and perfect their EVs. Many countries including India, China, Britain, France, and Norway have all committed to banning the sale of gasoline and diesel cars in the next 20 years. With all this competition, you will be sure to see massive improvements in battery storage and charging technologies for EVs. Vehicle-to-vehicle communication is still relatively new. However, it has great implications for the future of autonomous vehicles and collision avoidance. V2V systems use dedicated short-range communications (DSRC) tech to exchange data with other cars. These data points include braking status, direction, speed, and location. These points are used to calculate whether the vehicle needs to intervene to prevent a crash. What’s the benefit of V2V over existing collision avoidance systems? By using DSRC, V2V systems can detect vehicles within a 300-meter range. This far outpaces the range of existing collision avoidance systems. Currently, collision avoidance systems rely on cameras, radars, and ultrasonic sensors. These sensors help the car determine what’s happening around the vehicle. These systems monitor blind spots, alerting drivers to rear cross-traffic, and emergency braking. Electrified axles are already a popular tool for hybrid electric vehicles. In most cases, a small electric motor independently operates the rear axle while a combustion engine operates the front axle. There are a couple of reasons to do this. Having separate motors for the axles allows for a less-crowded design in the car. It’s also cheaper to manufacture a hybrid this way. Having two motors also allows for four-wheel drive capabilities. 4WD appeals to individuals who want to drive in snow or over rough terrain. An electrified axle system also gives hybrid vehicles more horsepower, a characteristic not normally associated with hybrid vehicles. While we’re not fully self-driving cars just yet, there are still plenty of features packed into vehicles that feel like they’re driving us. One such example is the self-parking feature. A driver can align a car to parallel park, hit a button, and the car parks itself. Adaptive cruise control is another great example. This car tech allows you to set how fast you want to go and how much room you want between you and the car in front of you. The adaptive cruise control slows down when the vehicle ahead of you does. It also adapts to new cars entering the highway in front of you. Next year, we’ll see more vehicle manufacturers testing self-driving techniques like platooning. This involves convoys of autonomous vehicles following each other to reduce congestion. Ultimately, this could play into the desire for more car sharing and car-as-a-service companies. Electrified axles also take some stress off the combustion engine and can help you get better MPG. If you’ve been car shopping recently, you might have noticed how nearly every new vehicle has a large center console display with connectivity capability. Being able to stream music, maps, and calls through your car makes driving more enjoyable and can even help prevent accidents. Those streaming capabilities are powered by a local Internet network in your vehicle. In very new cars, you can use that exclusive internet connection to provide wifi to devices of other passengers in your vehicle. Connection capabilities also play into your car’s collision avoidance system. Additionally, they’re what power many roadside assistance programs which allow you to call for help with the push of a button on your vehicle. That button provides your exact location to roadside assistance or local emergency responders. 3D printing might not directly impact you as a driver, however, it is changing the way cars are manufactured and their capabilities. By using 3D printing, manufacturers can create tons of car components cheaper, stronger, and lighter than if they were to use traditional methods or composites. While 3D printing still isn’t the best option for mass production yet, it does help reduce the lead-time significantly. This translates to cost reduction for the driver. Stronger and lighter components also bode well for drivers. Stronger components mean they’re less likely to break and a lighter car means better fuel efficiency. Car tech has improved by leaps and bounds just in the past couple of years alone. With so much competition, drivers can expect to have safer, cheaper, and more fuel-efficient cars in the next decade. These improvements also mean more features will become standard across the industry as rear backup cameras became the standard for new vehicles. 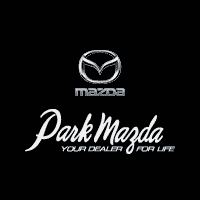 To check out the amazing car tech in Mazda’s models, come out to Park Mazda or get in touch with us to schedule an appointment.